Winter has been rough on our skin, and it is in urgent need of TLC. However, we don’t want any more harsh chemicals; our poor skin has had enough! Our experts at Mytopface adore natural products because they help restore and replenish our skin without stripping it of its natural oils. It was love at first sight when we first tested the Leven Rose Witch Hazel Rose Water Toner. We loved how the product left our skin feeling fresh and well balanced. 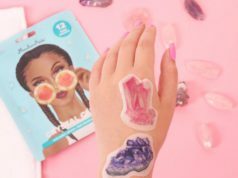 Therefore we were excited to try more products from Leven Rose because the cold air outside has left our hair, skin, and nails dry and brittle. Leven Rose products are housed in chic amber bottles whose function is to look pretty but also extend shelf life. Its ingredients are very sensitive to light, so the dark glass protects the organics from oxidation. This natural brand produces only organic, 100% natural products. All of their formulas are environmentally sustainable, and free of chemicals, alcohol, and GMOs. They are ideal to use on all skin types and even safe for children. This time MyTopFace experts tested the Leven Rose Pomegranate Seed Oil, a pure, natural oil that helps regulate the production of the skin’s sebum. The formula contains a high content of naturally-occurring powerful components that deliver many health benefits. For example, the punicic acid (also known as omega-5 fatty acid) rejuvenates the skin, promotes cell growth, and fights free radicals and cancerous cells. It also works as a potent anti-inflammatory healer and anti-aging property. Leven Rose Pomegranate Oil can also be used to improve symptoms of problematic skin issues like enlarged pores and acne. Since it works as a natural cleanser, the oil unclogs and even shrinks pore size. We tested the product by using the dropper to dip about three to five drops of the oil to our fingertips. (We found that five drops were enough for us, but dry skin may require more.) We massaged the oil to our face focusing on age spots, blemishes, and any dry patches. The product is nearly scentless and left no lingering smell behind. Our experts used the product twice a day and noticed an improvement immediately. The dry patches around our nose and mouths were gone the next day! We were happy to find it also made our makeup come out smoother than usual. 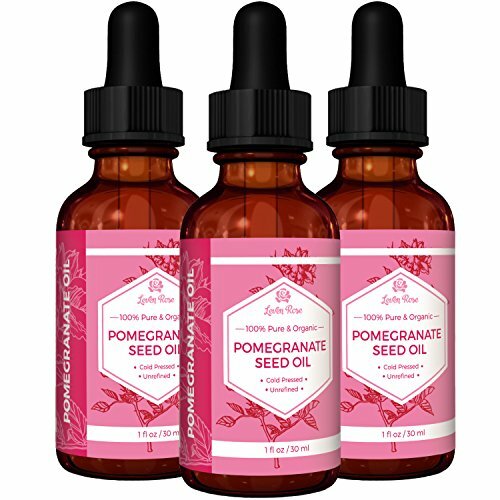 Mytopface (MTF) beauty hack: Treat your scalp with a massage using the Leven Rose Pomegranate Seed Oil to get healthier, longer hair. The oil’s omega-5 fatty acid promotes cell growth while its anti-inflammatory properties have been known to ease discomfort and flaking! We found it tamed frizziness and stubborn fly-aways without weighing it down. 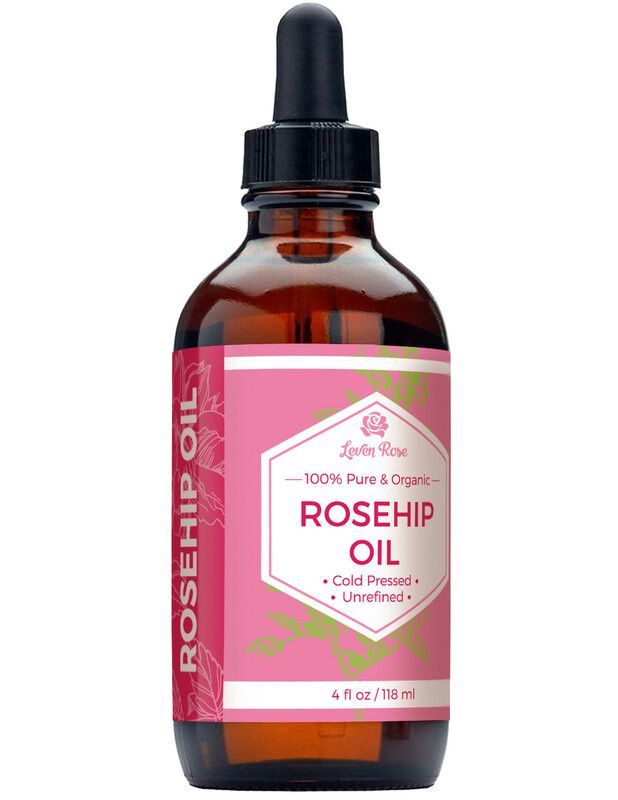 Our experts then tested the Leven Rose Rosehip Seed Oil, which has powerful ingredients like beta-carotene, vitamins A, C & E, and fatty acids omega 3, 6 and 9. This natural recipe allows skin to breathe new life and can be used to prevent stretch marks, heal dry or damaged skins like scars. It also works as an anti-aging treatment too. We also tested this product by dipping three to five drops onto our fingertips and then rubbing it onto our skin. The bottle recommends using it once daily. Our experts at MyTopFace applied it as a nighttime moisturizer and made sure to focus on problematic areas like blemishes and acne scars. We loved how the oil quickly absorbed into our skin and did not leave it feeling greasy or heavy. It was also lovely waking up to brand new, rejuvenated skin. We noticed how much brighter our faces looked in the morning. Mytopface (MTF) beauty hack: Ran out of makeup remover but have a night’s wear of party makeup on? No need to fret. Because of its cleansing and moisturizing agents, you can use the Leven Rose Rosehip Oil to wipe off makeup and any remaining residue. Also, dab some of the oil onto your cuticles to strengthen your nails and provide hydration. We did not experience any breakouts or irritation from using either of these oils, which was a big concern for our experts. (We want to improve our skin, not create more issues for it.) The products are sometimes referred to as “dry oils” because they absorb right into the skin so even people with oily skin can reap its benefits. A little also goes a long way, so we expect to have these bottles for a long time. It was interesting to learn that Leven Rose uses the method of cold-pressing to prepare its formulas. This approach allows the preservation and purity of the ingredients inside the seeds. The seeds are first removed and then cold-pressed as opposed to refining them. By doing this, the oils are kept in its purest form, leaving all of the essential components of the oil intact and unharmed. 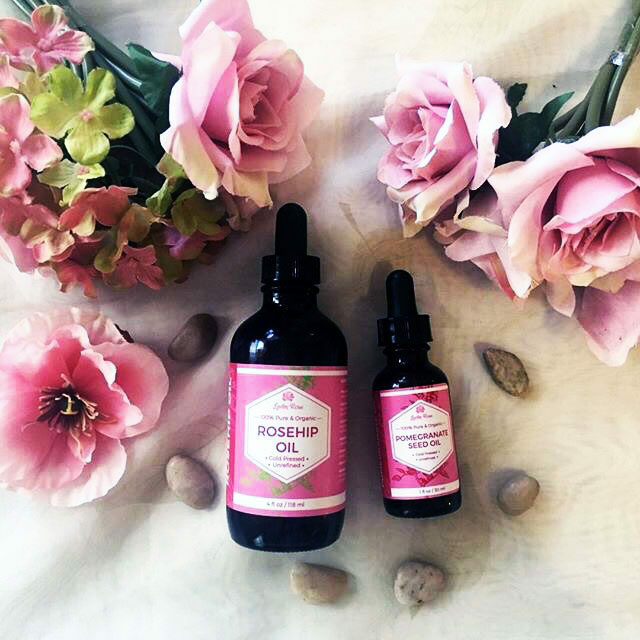 No wonder our skin has felt so lively after welcoming Leven Rose into our lives! Overall, we are truly impressed again by the Leven Rose brand. We adore their sleek packaging because it looks great on our bathroom shelves and extends the life of the product too. Their nifty dropper applicators allow for a clean application and prevent an excess product from being wasted. The products are suitable for all skin types including sensitive, acne-prone skin. You’ll only need a few drops of these oils to greet yourself in the mirror with a healthier, happier glow. Incorporate these products into your daily beauty routine, and it will help you to maintain healthy supple skin all year round. Though Leven Rose gently prepares us for the brutal weather outside now, we will always welcome it any season of the year.